Constantly updating this post to give the most accurate information. 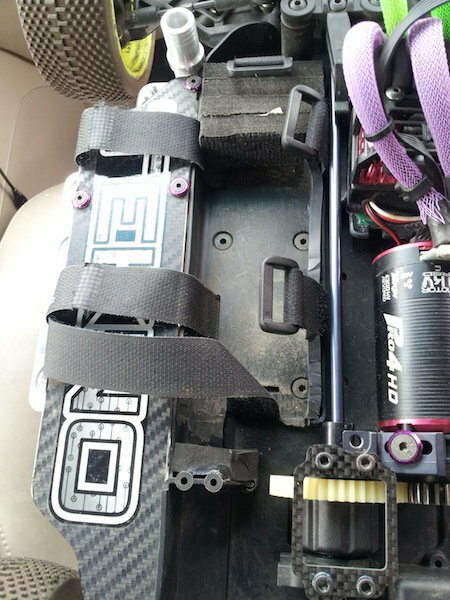 ----When building shocks, the best method we've found for consistent shock builds every time is a little different than whats in the manuals. First, place and seat the bladder into the shock cap. Fill the shocks with desired fluid and pump to remove trapped air. Thread cap onto body about 2-3 turns. 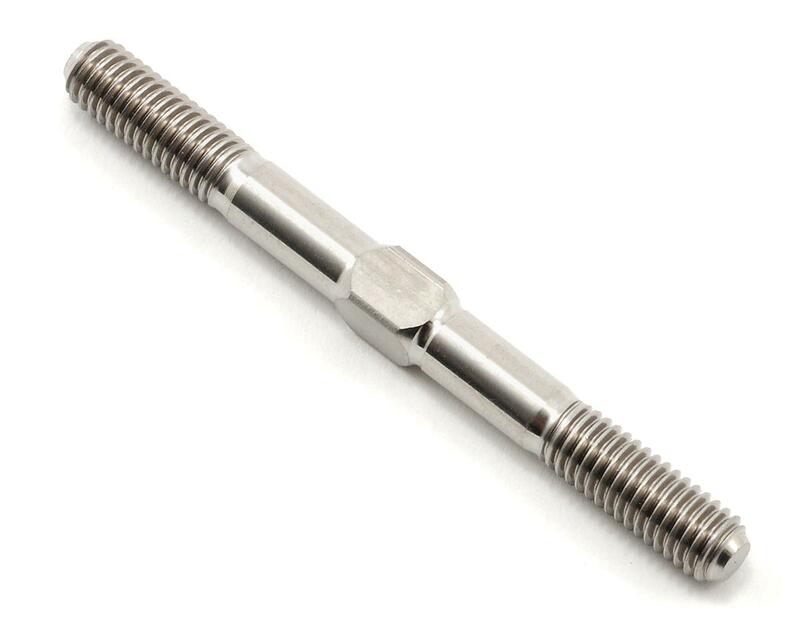 Push shaft slowly into body for desired rebound, and hold in position while slowly screwing the body into the cap with the bleed screw facing down or to the side. Wipe away oil and the shock is ready! 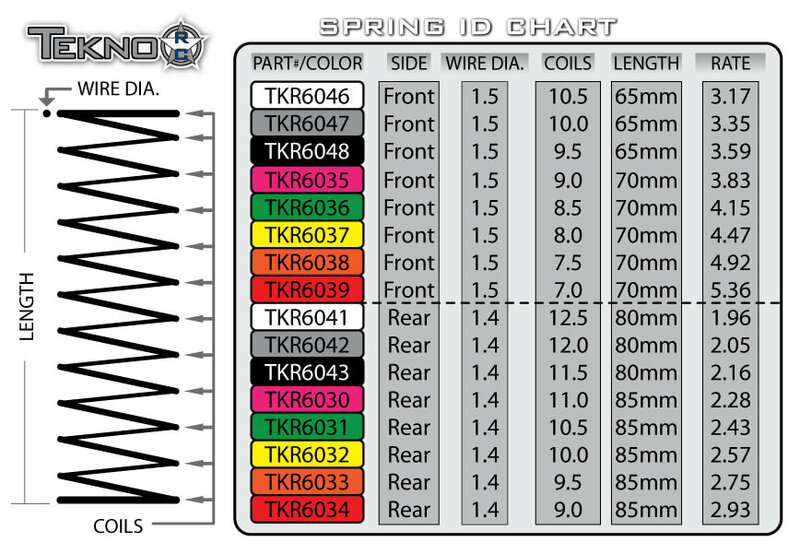 *For the ultimate in identical shocks, use a calipers when setting your rebound. 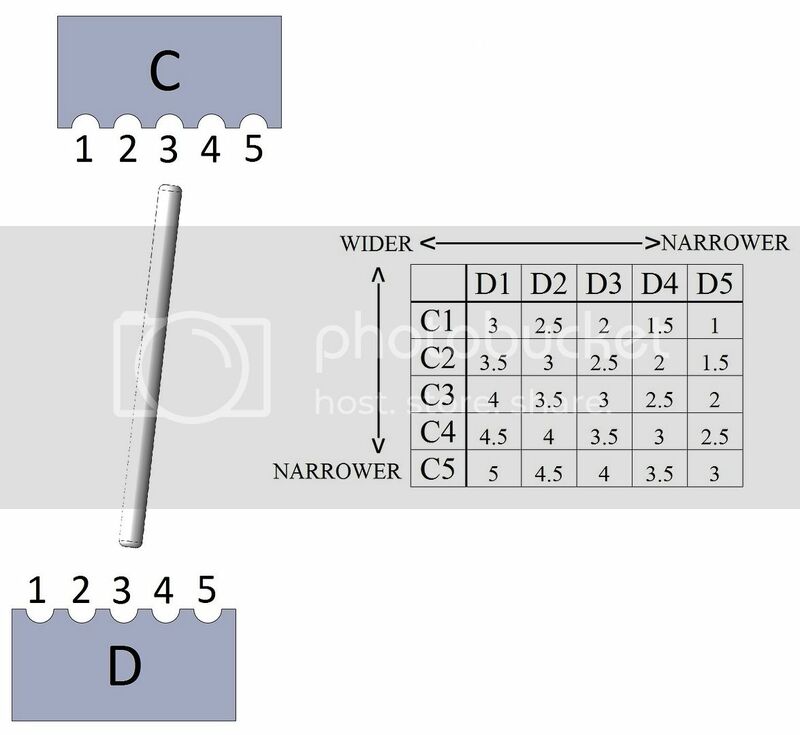 I measure the distance between the lowest shaft guide and the top of the shaft threads. 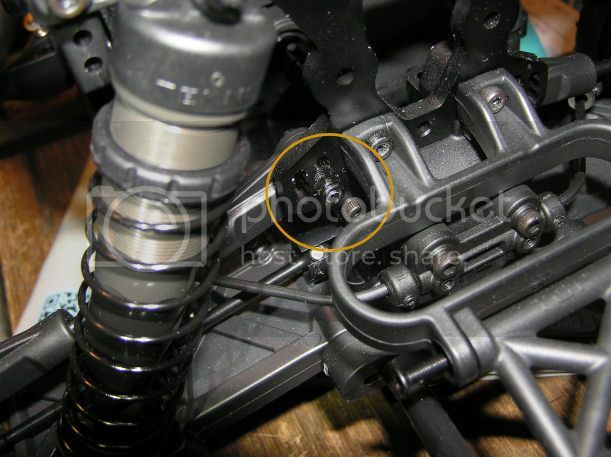 For the Buggy shocks, I set this distance at 16mm for the Rear shocks and 14mm for the Front shocks to achieve minimal rebound and to get the least amount of air in the shock when its built. So if you're not using the built in steering stops, you're doing yourself a huge disservice. 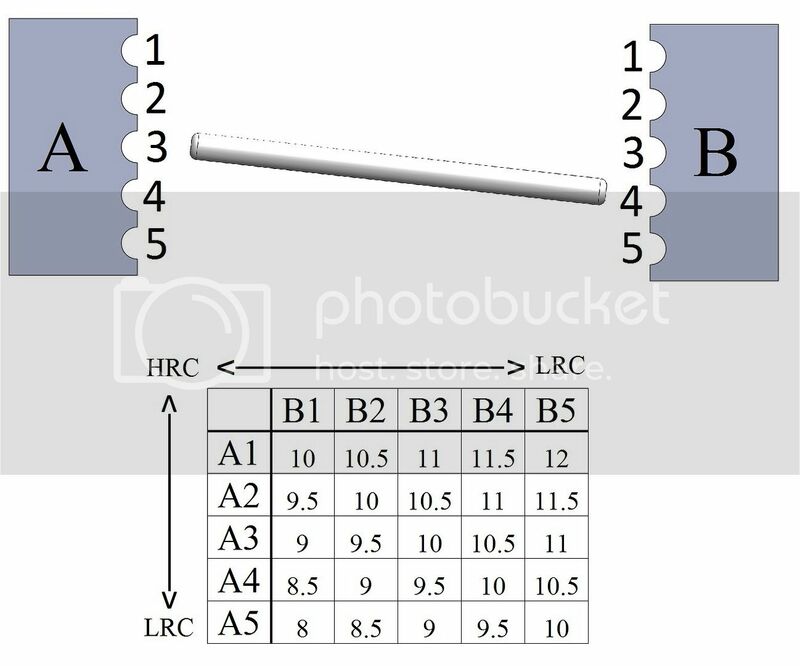 We are using 4 steering limiter washers on the EB/NB/SC and the results have been awesome. Yes, the turning radius is reduced, but lap times and consistency have proven this is a non-factor. I just wanted to point out one thing that is not mentioned in the manual (at least I don't think it is). The nerf bars look the same but they are not symmetrical and are actually two different sizes. I noticed this while playing around with the air guards. 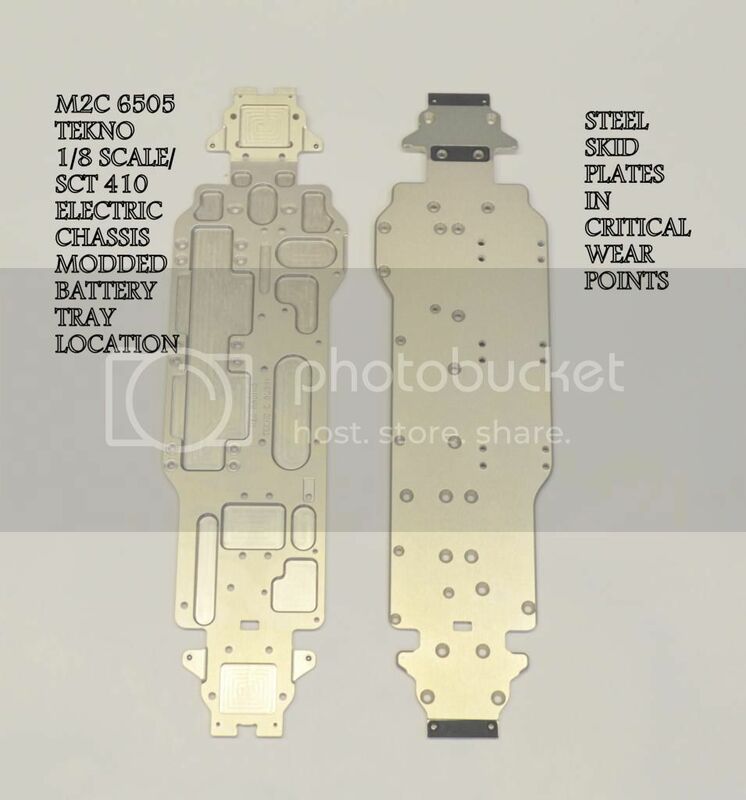 The side pods on the Tekno SCT410 are made just wide enough to contain the battery (left side) and servo/esc (right side). And the chassis is just wide enough to provide support for the battery and motor. Since the side pods are of different sizes (width) the nerf bars had to also be of different sizes so that the overall width is symmetrical. Just another example of great Tekno design, they could have made the chassis and side pods symmetrical but it would not have been an efficient use of space/materials and the balance would not be as good. Also the nerf bars have a taper, and the flat side needs to be facing up so the air guards fit flush (see the pictures below) and you get max ground clearance. You can clearly see the nerf bar on the left is shorter. Another angle. And you can see the taper in the nerf bar, one side is flat the other is curved. Flat side should be facing up. Shorter nerf bar needs to be on the right side. Diff Gasket Tip. The gasket fits really snug in the ring gears of the front and rear diffs and the holes in the gasket are precisely the size of the holes in the ring gear. So, install the gasket in the ring gear at an angle and get the first hole aligned perfectly before working the rest of the gasket in. You can smear a little bit of black grease on both sides of the gasket first. Once the gasket is fully seated, you can not turn it within the ring gear. 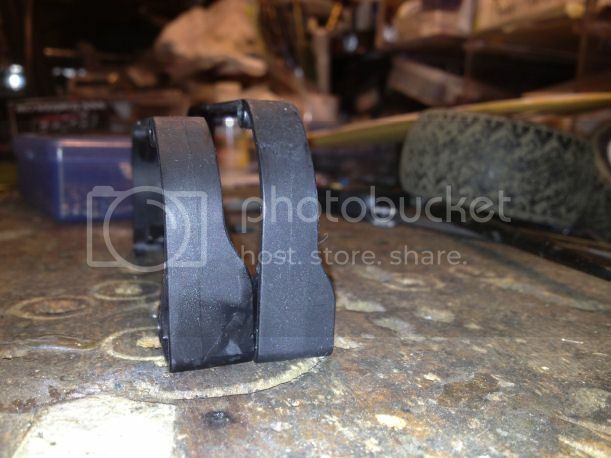 Outer Diff Shims Tip. Getting the diff in the housings with one shim on each side can be challenging. They are delicate, thin, and have nothing to keep them in place while you try to install the diff. It's very easy to buckle/bend one or miss getting it in the housing. 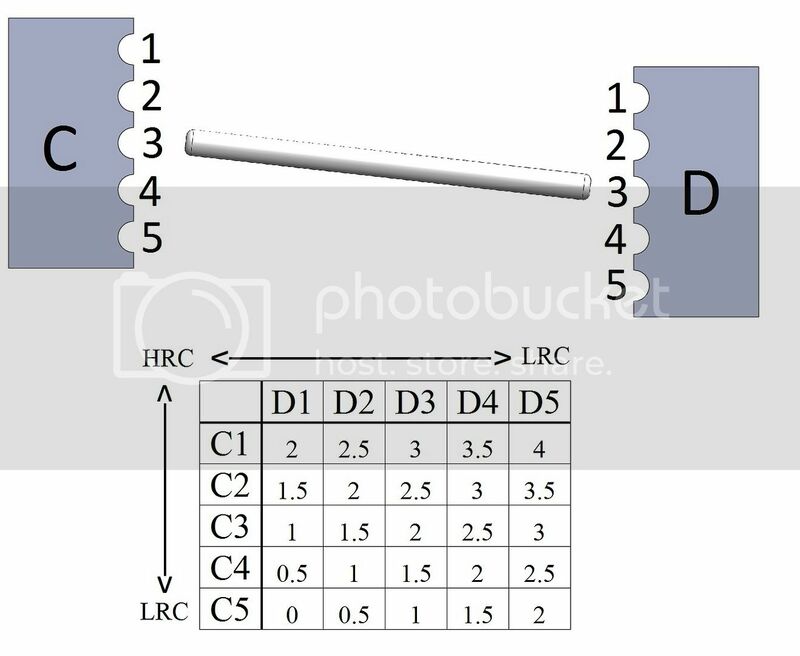 What you can do to make installation easier is to cut a .5mm x 30-40 degree chamfer on the inside of each of the four corners of the bearing lip of each diff housing halve (8 total for front diff, 8 total for rear diff). 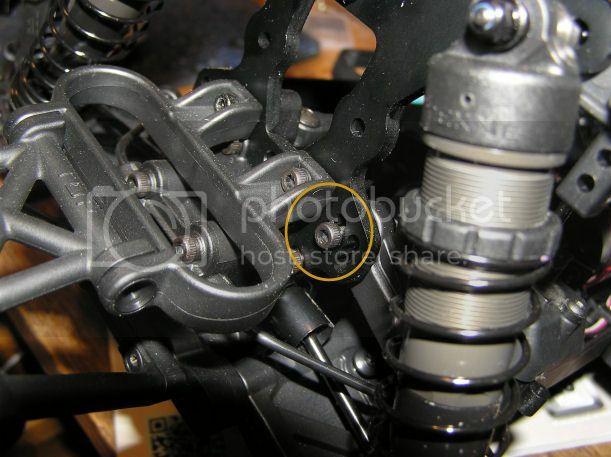 [See pic below] This allows a bit of alignment assistance to get the diff installed without damaging the shims. 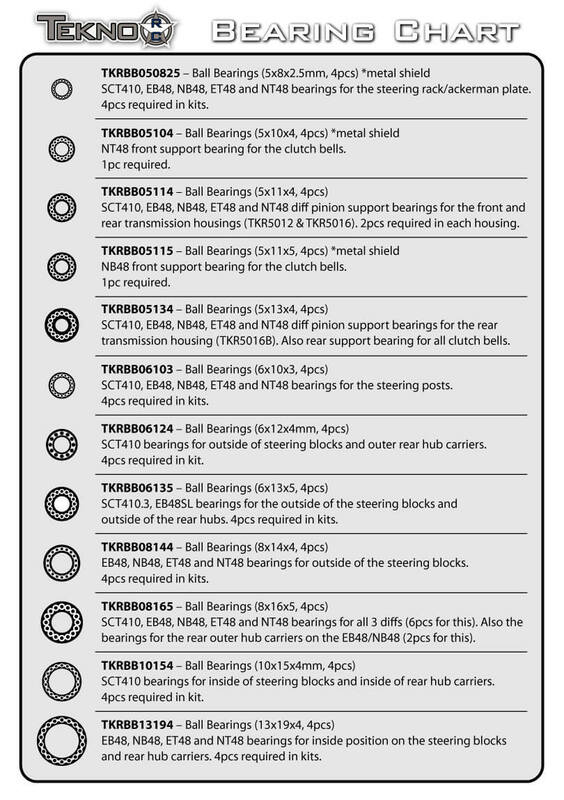 Here's a chart of all the available springs together. 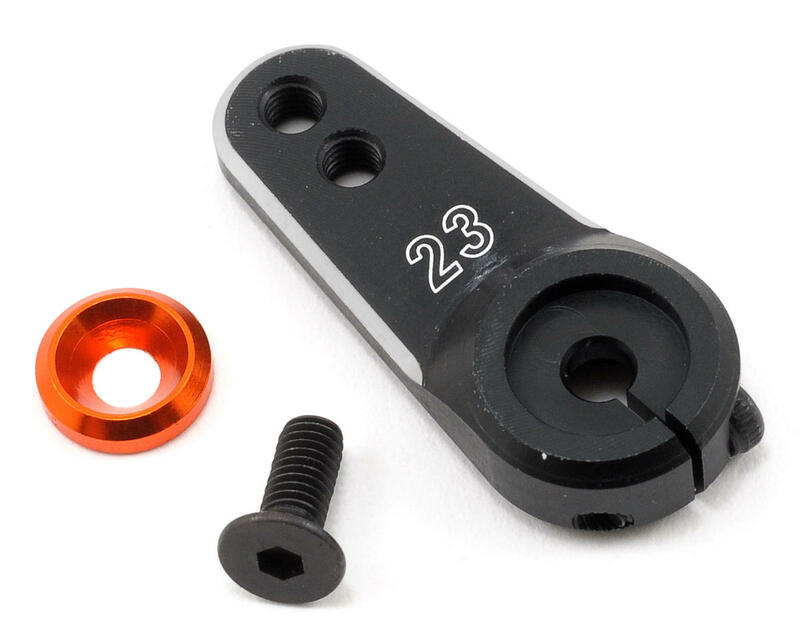 Avid RC now makes a bearing kit. 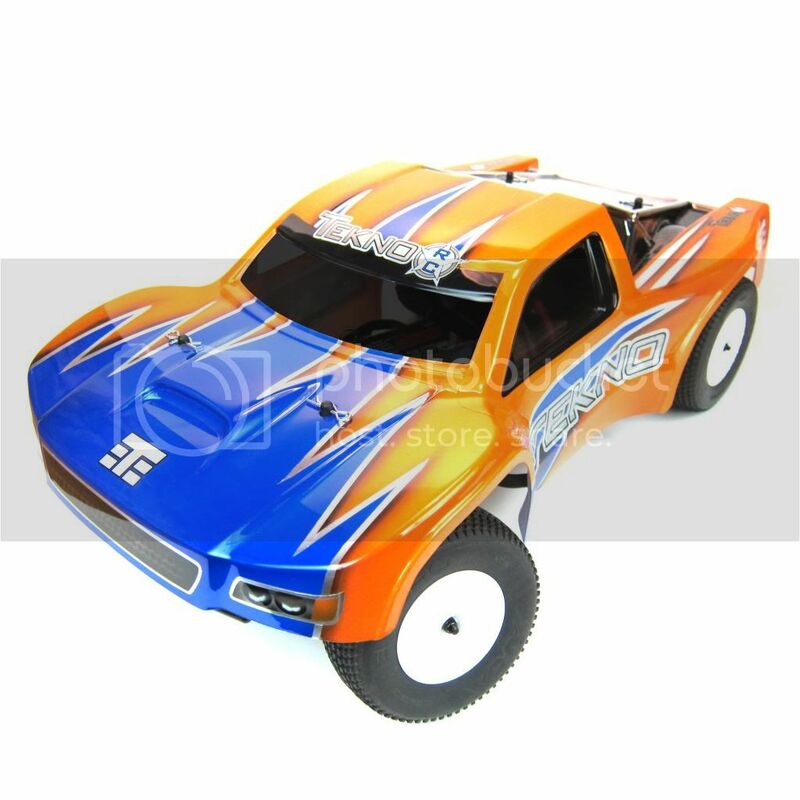 The SCT410 was designed to run SCTE and SC104x4 wheels. 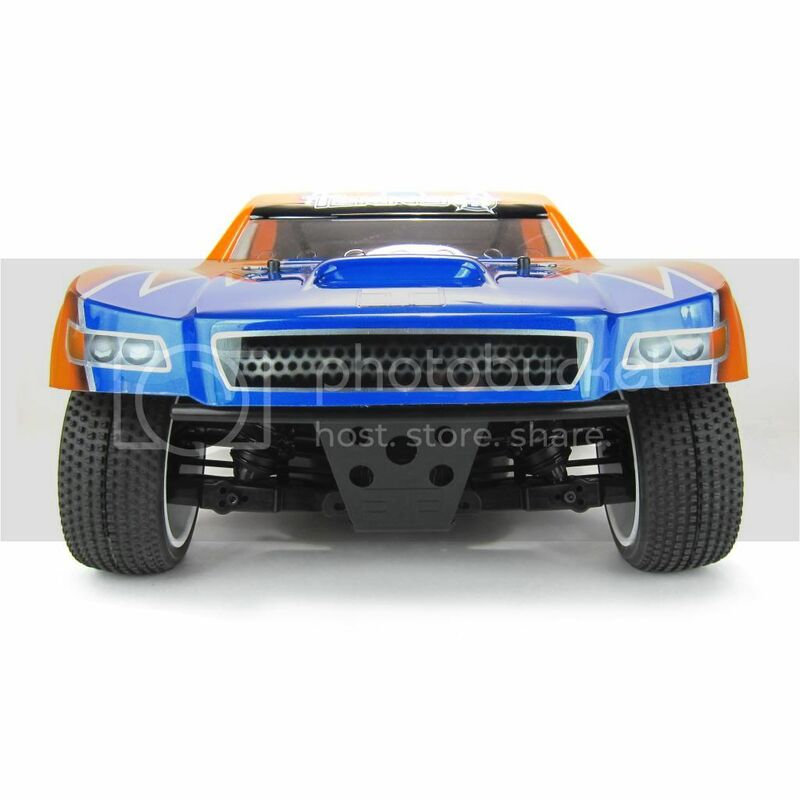 We have found that some wheels made to fit these trucks have slight differences from manufacturer to manufacturer. 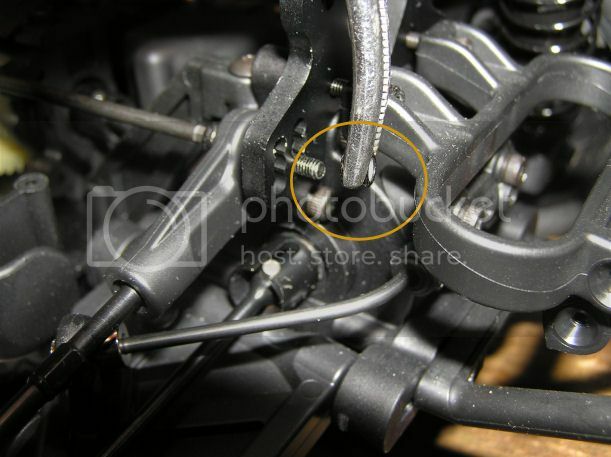 If your wheel rubs the steering link screw you can remove the all of the bumpsteer washers above the ballend to lower the head of the screw. If it still hits you can remove the washers under the ballend (be sure to adjust your bumpsteer setting on the ackermann plate to compensate). If it still rubs after that running a cap head screw in place of the socket head should remove any chance of the wheel hitting the screw. 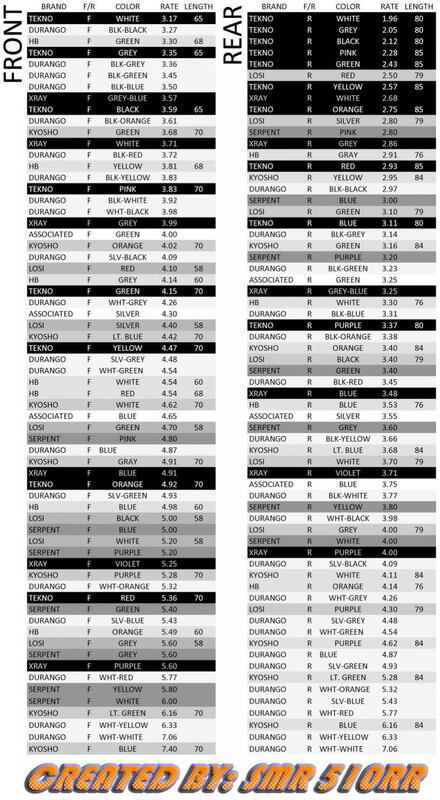 Here's a list of wheels that fit with and without modification. These recommendations are based on 2s lipo setups and are guidelines only. If you're switching to this vehicle from another that you had achieved a speed you liked I highly recommend visiting this site -http://scriptasylum.com/rc_speed/top_speed.html, inputting your old/current vehicles information, recording that data, then input the SCT410 info and adjust the pinion gear until you are close to your original top speed. NOTE: when running the split diff the smallest pinion you can fit is a 14 tooth. 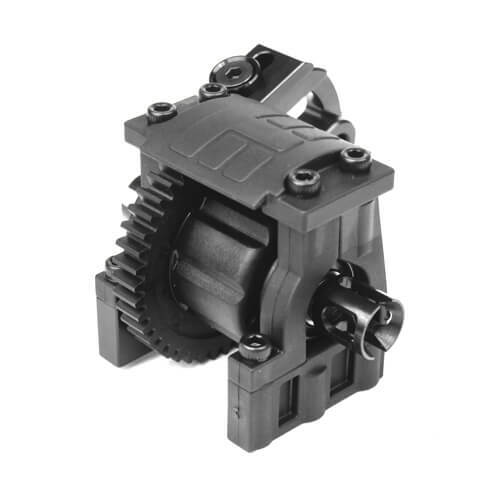 The SCT410 has adjustable hinge pin holders that allow users to fine tune their truck for different tracks, conditions, or driving styles. You can adjust the amount of front arm "sweep" in 0.5 degree increments from 2 degree forward to 2 degree back. 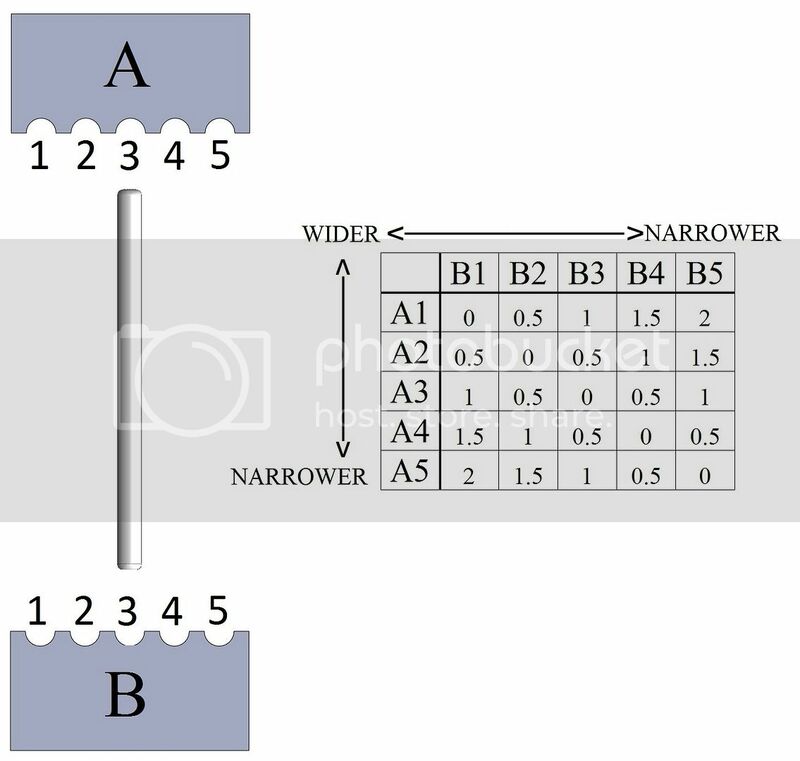 This picture is top down, looking at the left side of the hingepin blocks. You can adjust the amount of arm kick-up in 0.5 degree increments from 8 degrees up to 12 degrees. 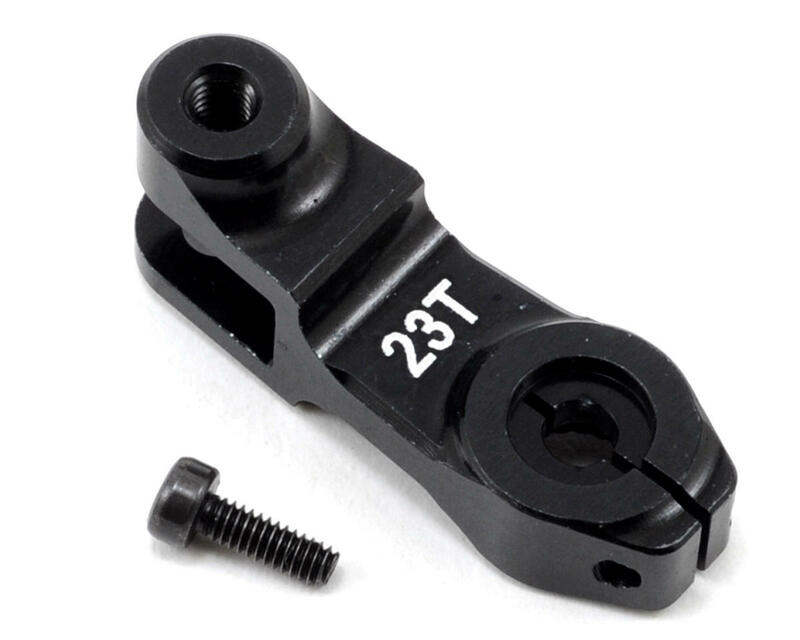 This in turn also adjusts your total caster angle from 18-22 degrees. You can adjust the rear toe angle in 0.5 degree increments from 1 degrees up to 5 degrees. 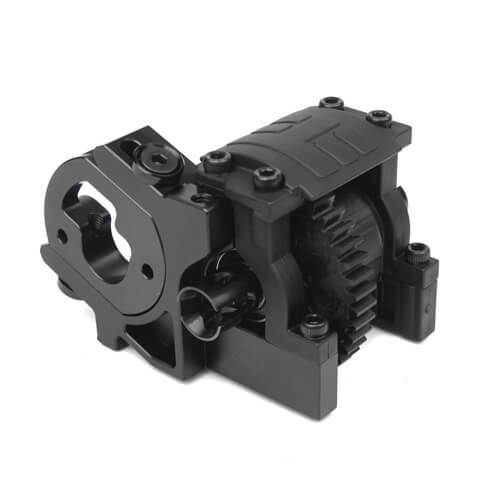 You can adjust the rear anti squat angle in 0.5 degree increments from 1 degree up to 5 degrees with the stock plastic hingepin holders and 0 to 4 degrees with the addition of the aluminum C block. Most aftermarket bodies now have several sets of dimples that mark where the body posts are for different manufacturers. 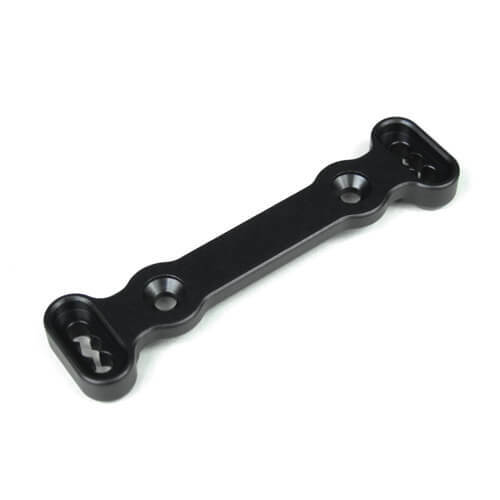 Our posts can be adjusted to directly line up with those of the Losi SCTE, Traxxas Slash, and the Durango. Any body designed for a 1/10th scale SC truck will fit, you just may have to find the body post locations on your own. LeadFinger RC makes a makes a stainless steel skid-plate. Here's a link to the store. T-Bone Racing makes several bumpers/skids in different sizes for the front and rear of the truck. 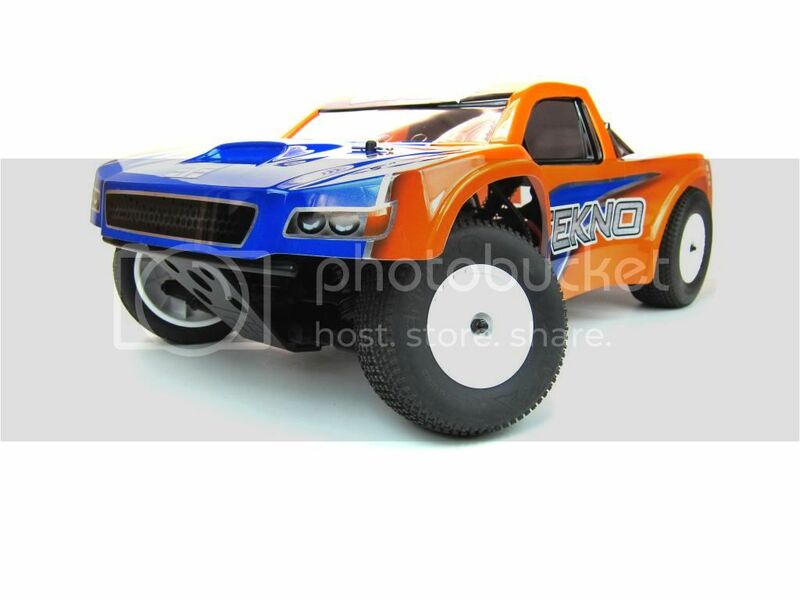 Here's a link to the Tekno section of their online store. 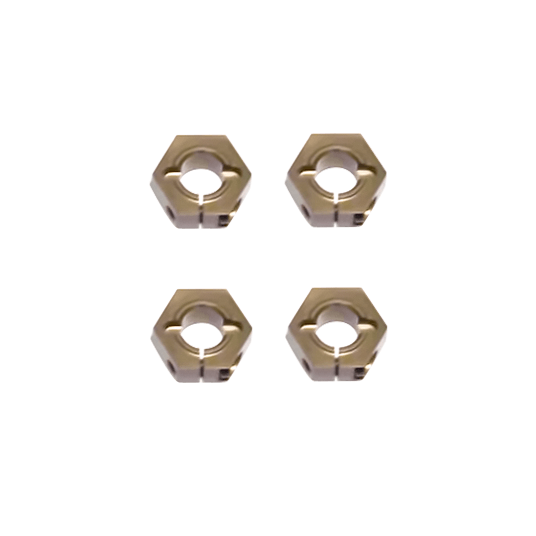 The stock kit comes with an aluminum hex that is secured to the axle with a setscrew, PN: TKR5571M. There are two versions of clamping hexes that Tekno makes, PN: TKR1654X, originally designed for the Slash and SC104x4, and PN: TKR5571A. 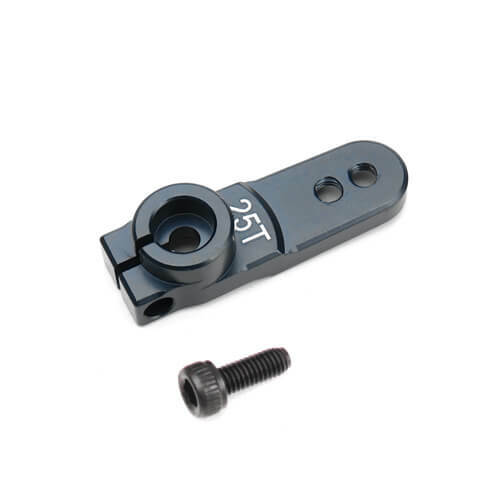 TKR1654X will however increase your track width by 1mm per side. If you are running SCTE wheels your truck will still be ROAR legal width with the wider hexes. If you are running SC10 4X4 wheels you will be over the ROAR maximum with the wider hexes. 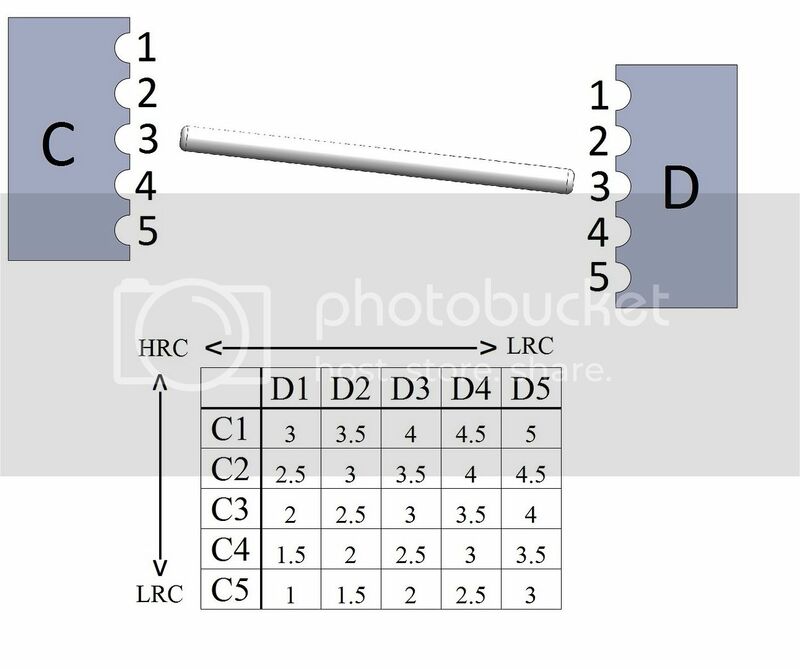 With the narrower hexes and moving the arms inner hingepins in it might be possible that some the manufactures wheels for the SC104x4 may be legal. 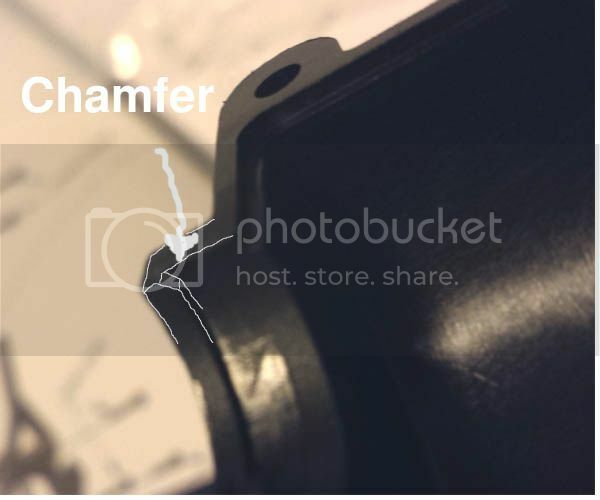 NOTE: Tekno's hex kit comes with shims that are designed to go between the drive pin and the bearing. They are there to take up any slop due to manufacturing tolerances. They may or may not be needed. It is normal for one wheel to need one or two shims and another to need zero. 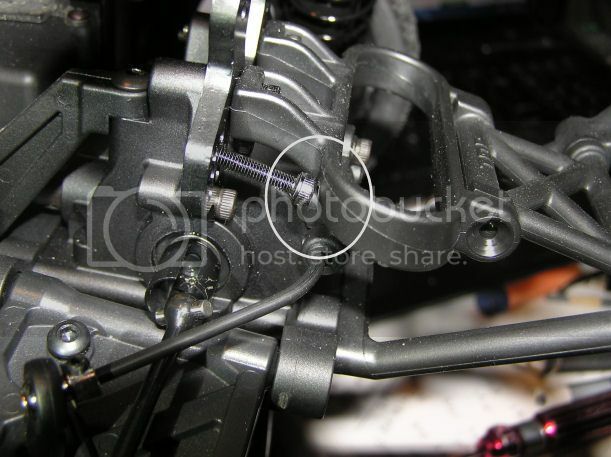 Install the hex without any shims and install the wheel as if you were going to run the car. If there is excessive play, add one shim and retest. The goal is to have just a tick of free play, you do not want it so tight that it binds up. these hexes, so we just did both. these hexes are made to fit the 6 mm axle. necessary for the the side load model. able to use the 6 mm shim. I had to make it like that to make it fit. 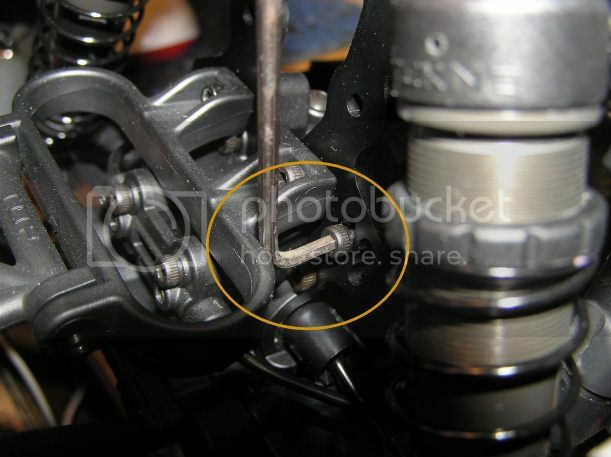 I also want to thank Cain for his feedback on the rear inner camber link mounting screws. At first I didn't think it was a huge problem, but then I went to adjust the inner link mount and found it was a royal pain to remove the screw. Per the instructions I have the screw head facing the rear (towards the rear bumper) it is almost impossible to get a normal 2.5mm hex wrench in there without removing the upper rear bumper mount. Cain suggested turning the screw around for easier access. I decided to take his advice and turned the screws around and I just wanted to post a few pictures to better explain the issue and fix. Cain I knew you wouldn't let me down, thanks again. This is the problem. 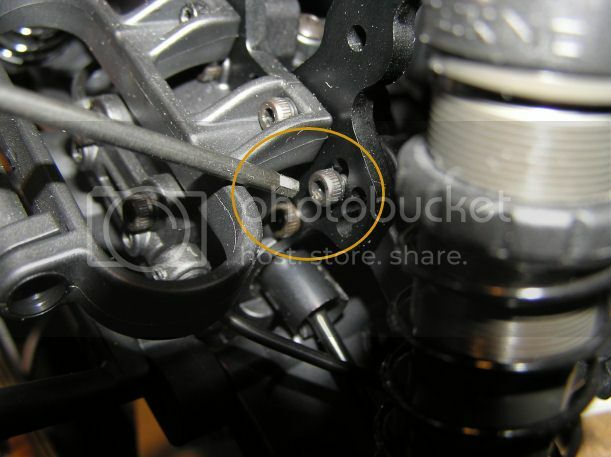 This is the rear inner camber link mounting screw when installed per the instructions. 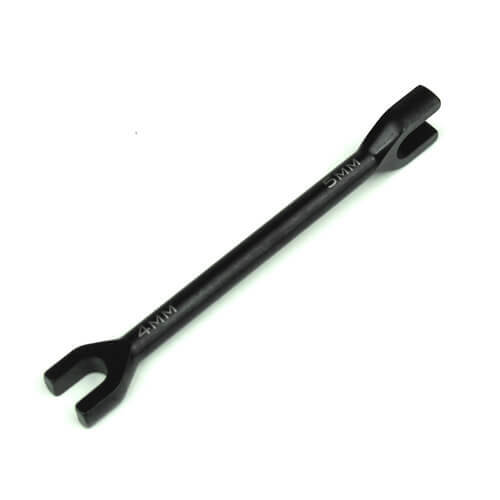 If you want to make adjustments, you can't get a hex wrench on the screw head. If you want to move the screw to a different hole it hits the upper rear bumper mount. By reversing the screw you can remove it once you remove the nut. Installing it requires you to hold the nut with pilers as you tighten the screw. And this is what it looks like all bolted down. 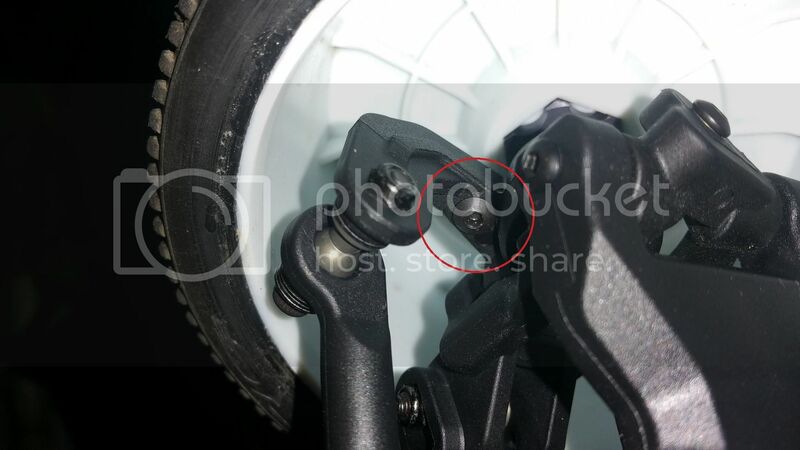 You can now access the screw/nut and are able to adjust the screw location without removing the bumper mount. 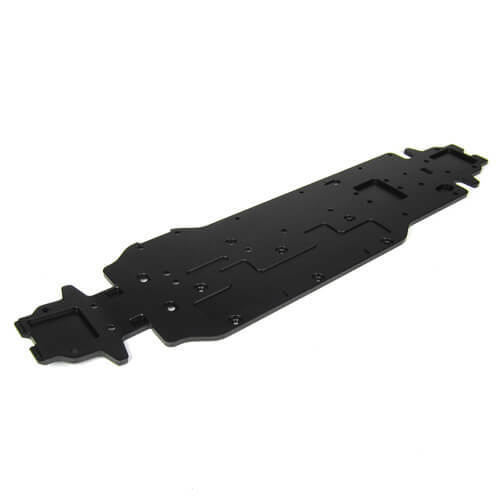 The stock chassis, TKR5288, is stamped 4mm black anodized aluminum with cutouts. 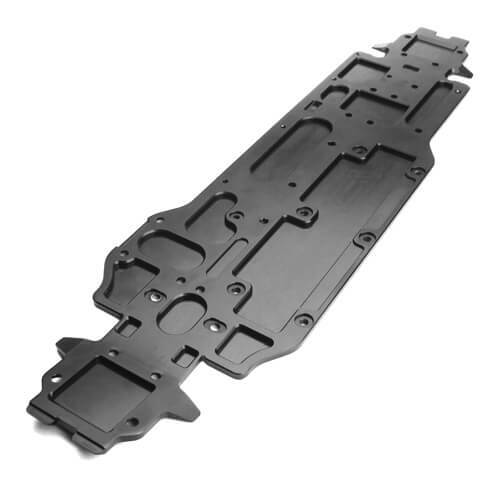 The stock EB48 chassis is milled 7075 hard anodized aluminum with a number of cutouts. 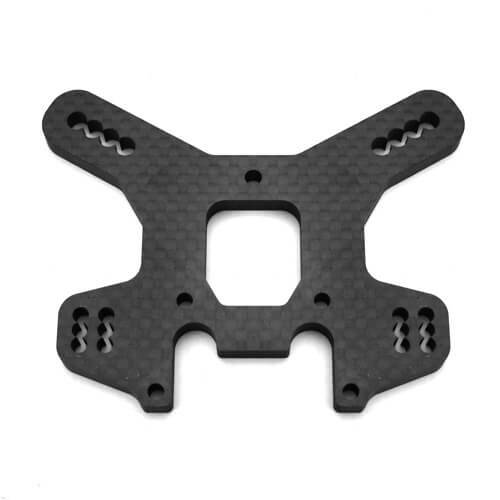 It decreases weight, increases flex, and maintains stock hole locations and chassis thickness. 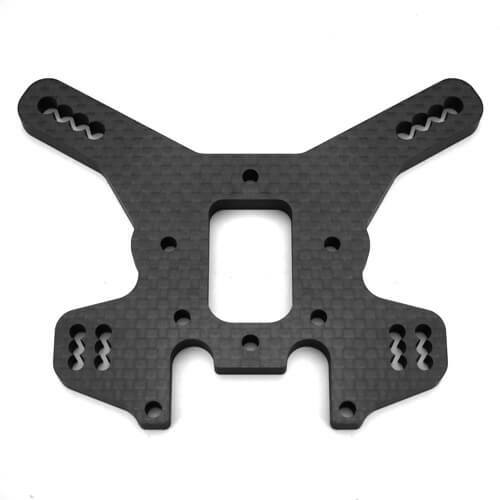 The original SCT chassis, TKR5001, is stamped 4mm 7075 black anodized aluminum with a minimum amount of cutouts. 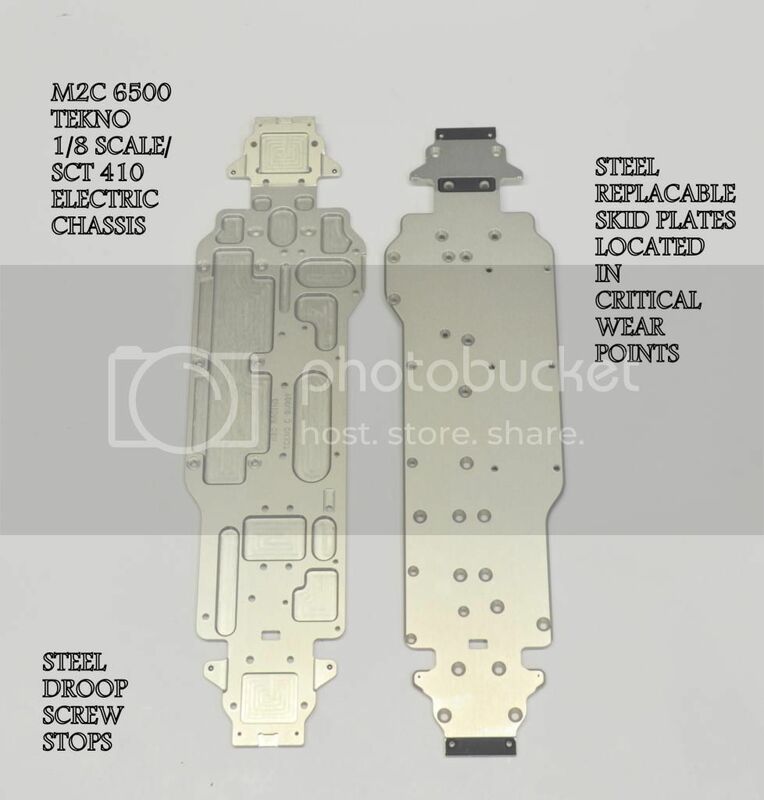 chassis for the 1/8 scale and sct410. will move the battery tray back 10 mm. 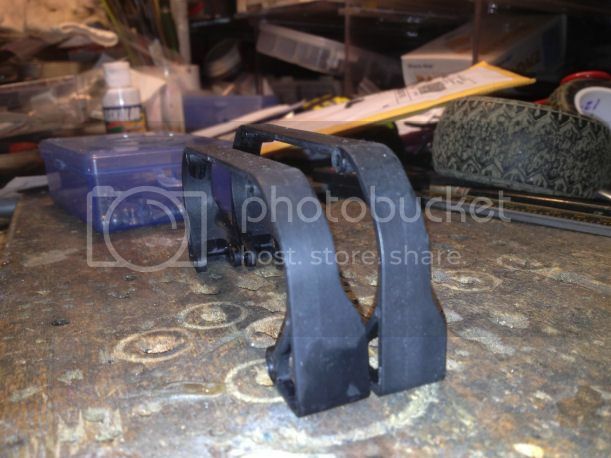 front and rear skid plates. just copy and paste in the coupon box as you check out. 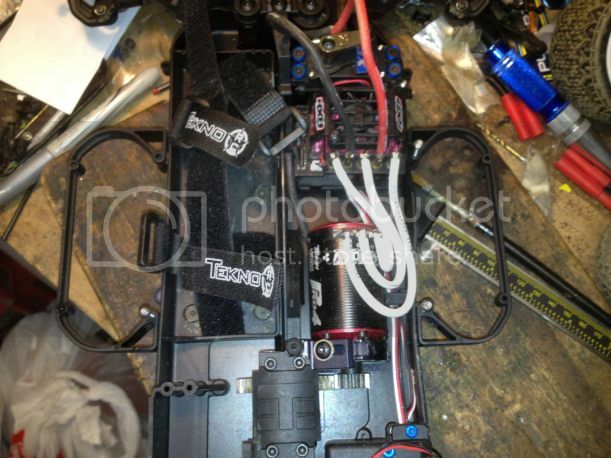 Several people are modding their battery tray to move the battery back to the front of the brake servo mount. Here's an example by sramos. Heres the jist of what i did. the rubber that goes along the side of battery tray is from a rubber pipe couple i picked home from home depot and cut off and glued in. put a big enough foam in rear to keep well away from diff. A track with loose conditions is where you'll see the biggest benefit of running an overdrive setup. 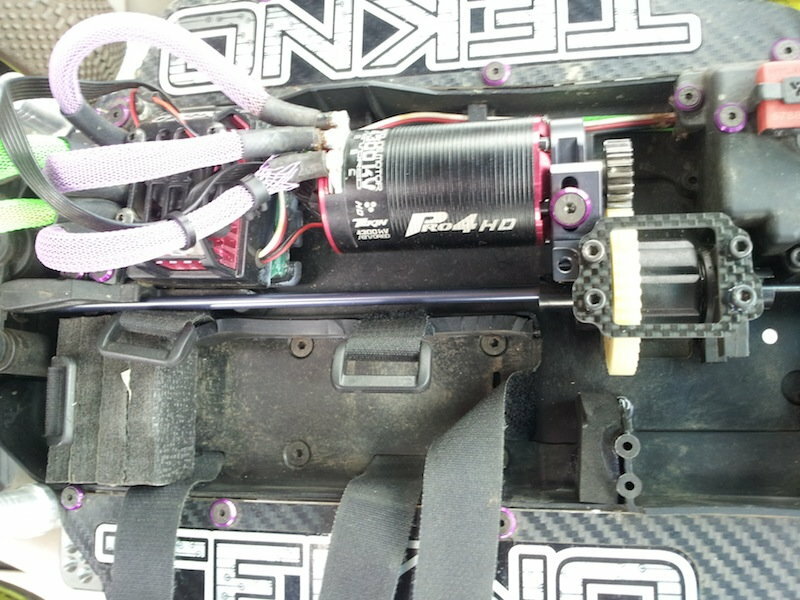 To achieve this you will need to run the truggy ring and pinion in the rear of the buggy. You have to use both the pinion and ring gear from the truggy. The truggy's ring gear has a different offset to mate up with the smaller 9t pinion gear. I built up a whole truggy diff so that I could quickly swap out the diff and pinion gear at the track. It's more expensive that way but the time it saves you at the track is worth it. 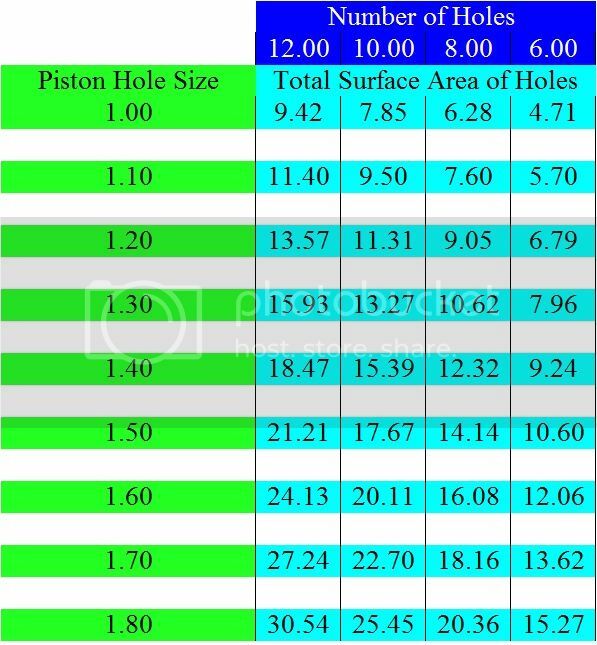 -You'll need to go up 1 tooth on your pinion gear or you'll lose a noticeable amount of top speed. 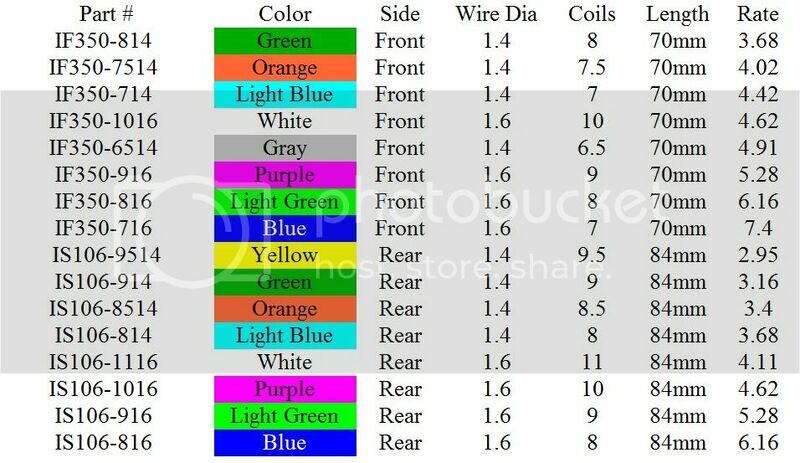 -You may want to strongly consider going up in your center diff oil if you're running 5k or less. -Be aware that your buggy will jump with more of a "nose up attitude" then before. -Your buggy will now have a slight drag brake off-power coming from the rear end. I just made a list of all the screws, washers and nuts needed to convert a Tekno ride over to all aluminum screws. 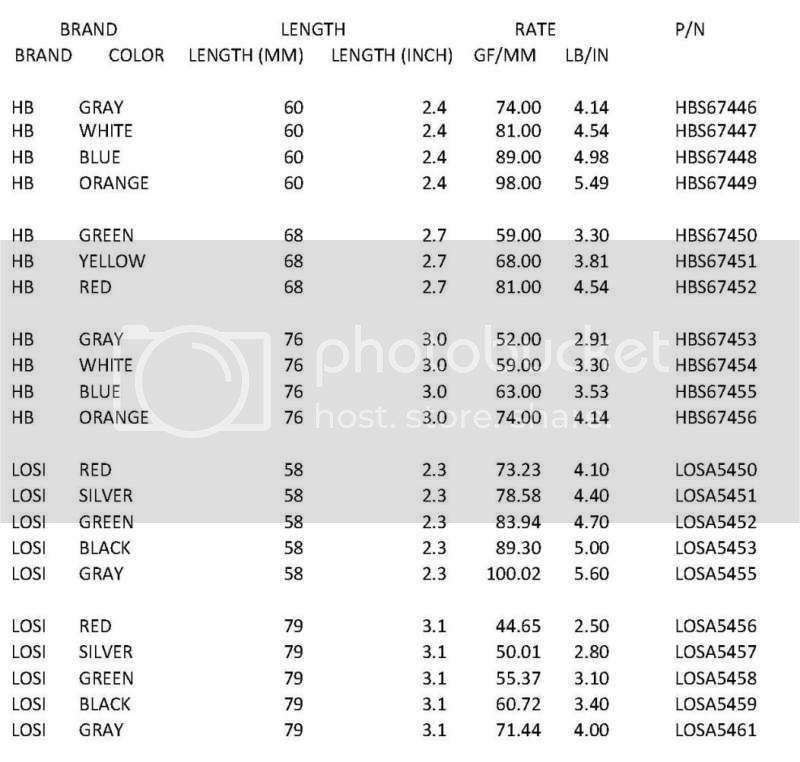 I listed the stock replacement Tekno screw part number first with details beside each. Only screws I did not list for an aluminum swap are the diff screws holding the ring/spur on to the diff. That's a high load bearing screw and steel is a better choice there. Only thing not listed are the washers. It's going to be a great evolution on an already outstanding platform! All the full actual details are here, complete with manual and part change lists. They list the parts to upgrade. I wonder if it is cheaper to buy a new kit rather than upgrade. 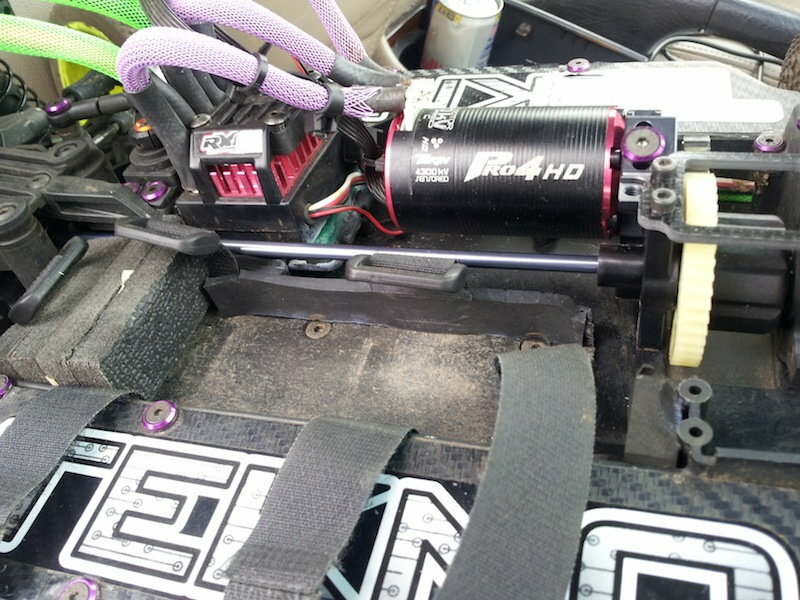 Many folks already have many of those upgraded parts on their SCT410, such as an aluminum front center drive shaft, etc. Yes, some more parts are lightened, but it will really only take a couple parts to update the handling characteristics if that is what you're looking for: arms and towers. 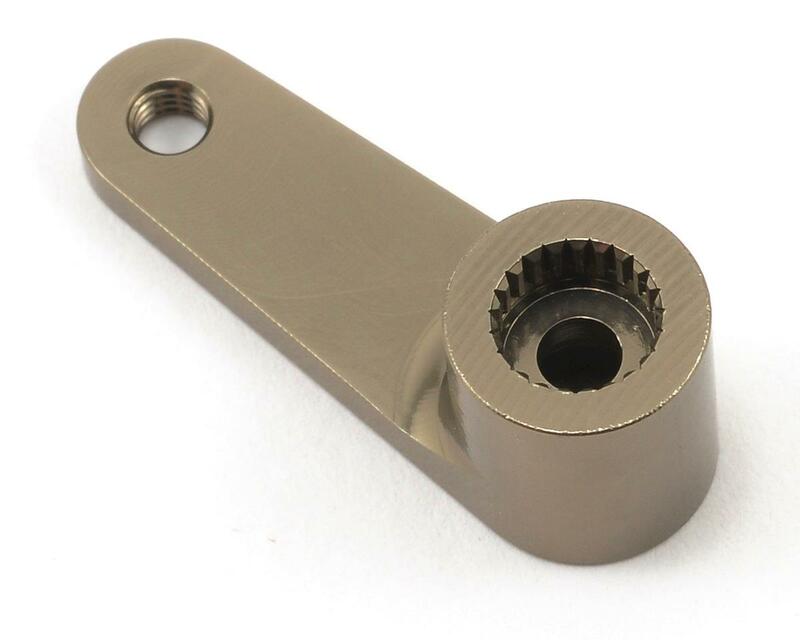 Other things are swap in option parts like the new style of hinge pin holder, or are things you're likely to replace periodically anyway due to wear/slop such as stub axles and spindles. If you want to immediately upgrade everything, then yes, getting a new truck is probably the best thing to do (though still more expensive...but then you have 2 trucks). does this lcg motor mount also have a 36mm diameter can max ? As many SCT410 owners are looking at this and trying to weigh options. What are the chances that a "geometry update kit" will be released? I know a lot of people that have the lightened drive train, 7075 chassis, and other option parts that have been available. 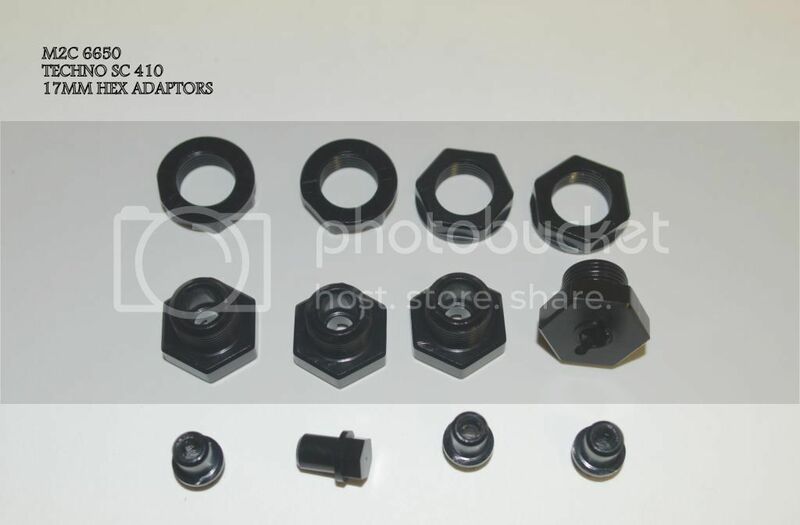 But to bundle up the hinge pin holders with the square pills and the new arms and hubs, or any other newly introduced features would be a nice gesture to support the many 1.0 folks out here. Inside that diff case there is a composite cross pin as well. As for the split center diff mount.. I knew they would not blow the chance to sell upgrades to people. So the plastic split diff makes sense to me. Is a composite cross pin a good idea? Sounds like they are introducing a failure point. How much weight could you possibly save with a composite pin vs a steel one? All the other updates sound good. hmmmmm, I like MOST of what I see! But have to do more researching to see if it will be worth selling the current one to upgrade.